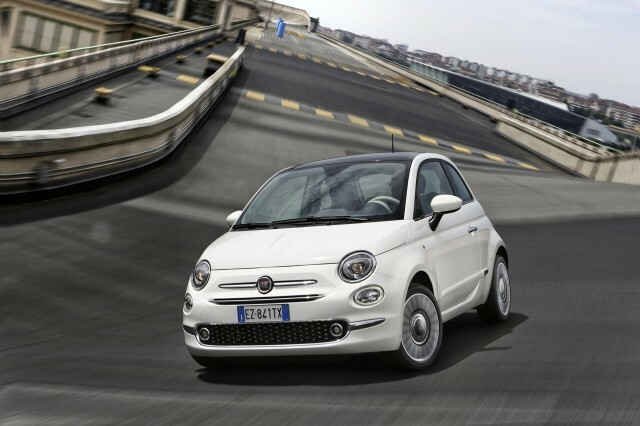 The 2016 Fiat 500 will arrive in the U.S. this fall with a few noteworthy updates, including tweaked styling and added technology features. No major mechanical changes are anticipated for the retro subcompact, which anchors a growing line of 500-badged models in the U.S. 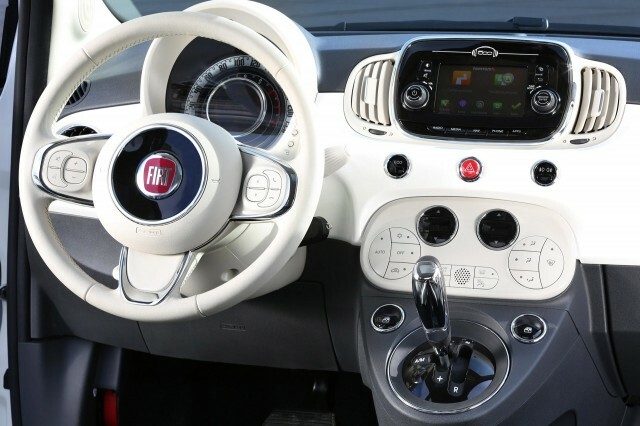 So far, Fiat is only showing the European version in Pop, Pop Star, and Lounge trims. Details on U.S. versions and the sportier Turbo and Abarth models will be revealed in the coming months. Styling remains mostly unchanged, although there is a new front bumper with reshaped running lights, and some extra chrome trim. Changes to the interior are somewhat more significant. The 2016 will get a version of Chrysler's Uconnect infotainment system standard; it's dashboard-mounted display screen sits where the old analog audio interface used to be. Other changes include added secondary controls on the steering wheel, and new seats that are supposed to feature improved ergonomics. The instrument cluster is still one big central digital-display binnacle, but with some function and display updates. The lone engine option for the standard 500 in the U.S. will likely remain a 1.4-liter four-cylinder, with turbocharged versions for the Turbo and Abarth models. This engine produces 101 horsepower and 97 pound-feet of torque, and is currently available with five-speed manual or six-speed automatic transmissions. EPA fuel economy ratings likely won't differ from the 2015 500's 34 mpg combined (31 mpg city, 40 mpg highway) with the manual, and 30 mpg combined (27 mpg city, 34 mpg highway) with the automatic. As with the current 500, European buyers will get a much wider range or choices. That includes a 0.9-liter two-cylinder engine, and a 1.2-liter engine in the new 500 Eco variant. 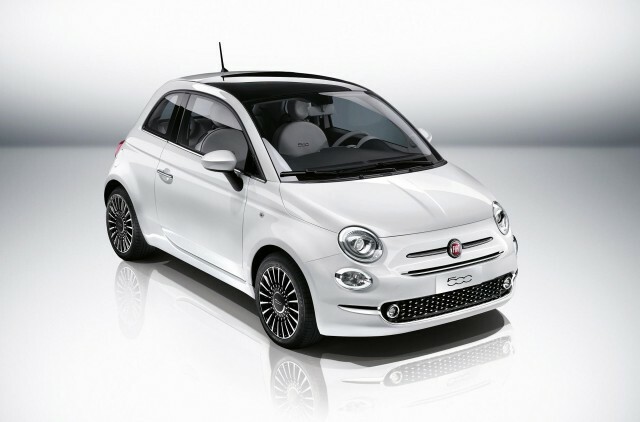 The 2016 Fiat 500 is expected to debut at the 2015 Frankfurt Motor Show in September, and go on sale in the U.S. before the end of the year. The base hatchback should be followed by an updated version of the 500c convertible sometime after that. It's unclear whether the 2016 updates will be applied to the electric 500e--a "compliance car" sold in small numbers only in California and Oregon.